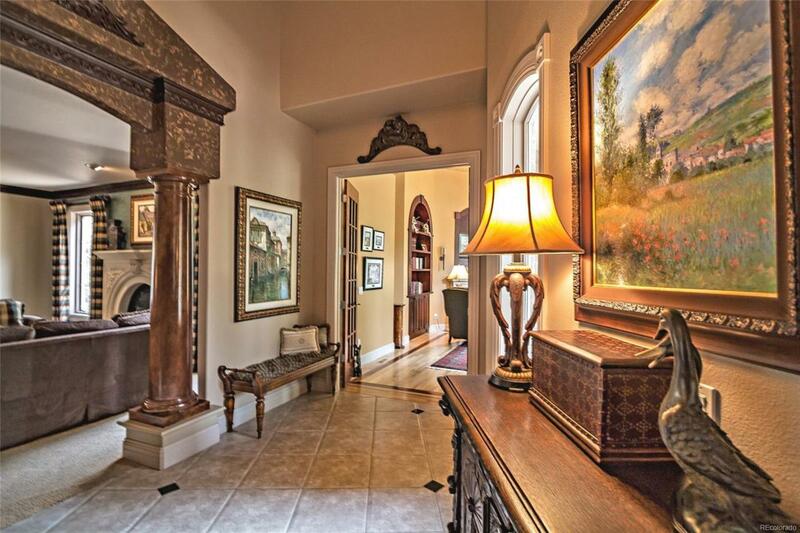 EXCLUSIVE ESTATE IN MONUMENT WITH REMARKABLE CRAFTSMANSHIP! 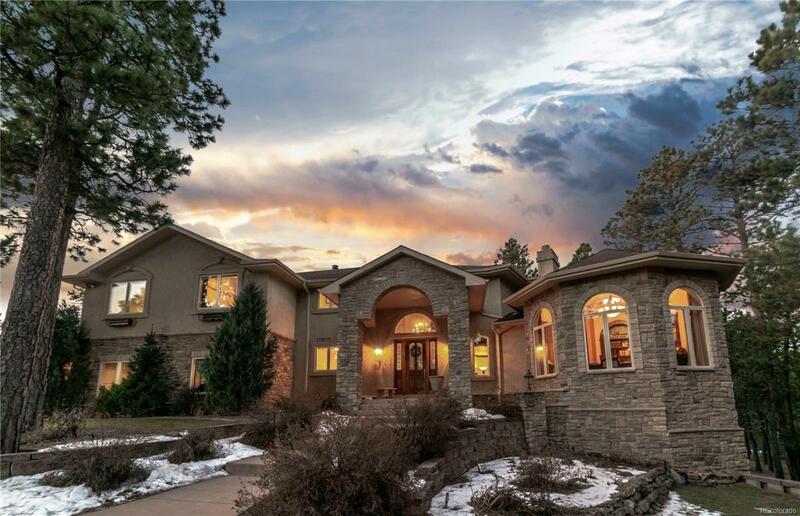 Beautifully designed w/ exquisite custom detail, including a Broadmoor Hotel Inspired fireplace, 7,092 sqft of luxury, including 5 beds & 6 baths, was thoughtfully placed on a grand 2.6-acre lot to perfectly complement the breathtaking Pikes Peak Mountain views. 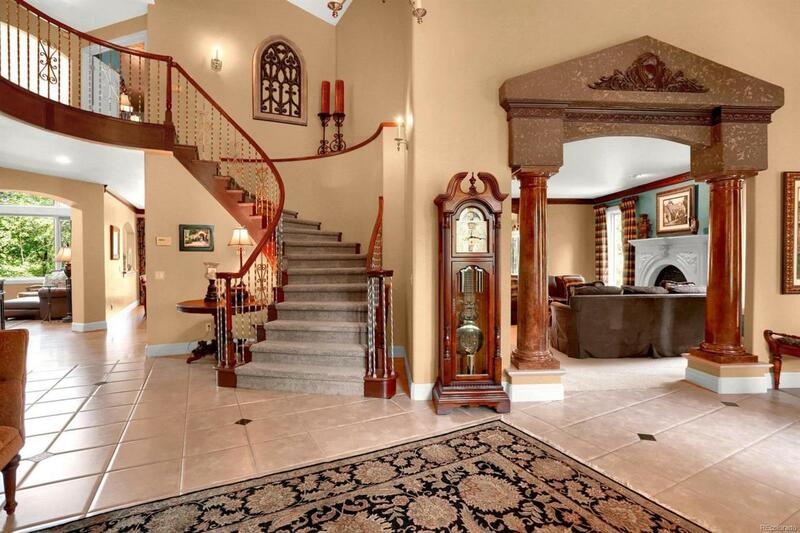 The Grande entry with 24 vaulted ceilings, crown molding, and a stunning cherry wood curved staircase will take your breath away. This inviting space will lead you to an executive library w/ exquisite built-in cherry wood bookshelves, a gas fire place and expansive windows. Just around the corner is an open family room w/ floor to ceiling Pella windows and a fireplace inspired by the Broadmoor Hotel. Adjacent is the gourmet kitchen w/ immaculate granite counter tops, beautiful cherry wood cabinets, & an adjacent walk-out deck, all with unmatched views of Pikes Peak-the perfect space for entertaining.